I love to make hats. 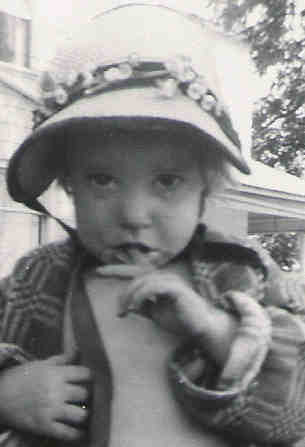 I've made hats for myself and actually kept them - most of my projects end up in other people's hands as gifts. 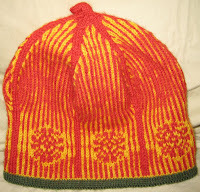 This hat came from the fabulous book Sweaters, detailing modern takes on traditional Scandinavian colorwork. It's made in Dale of Norway Heilo; these colors represent rural Sweden to me. 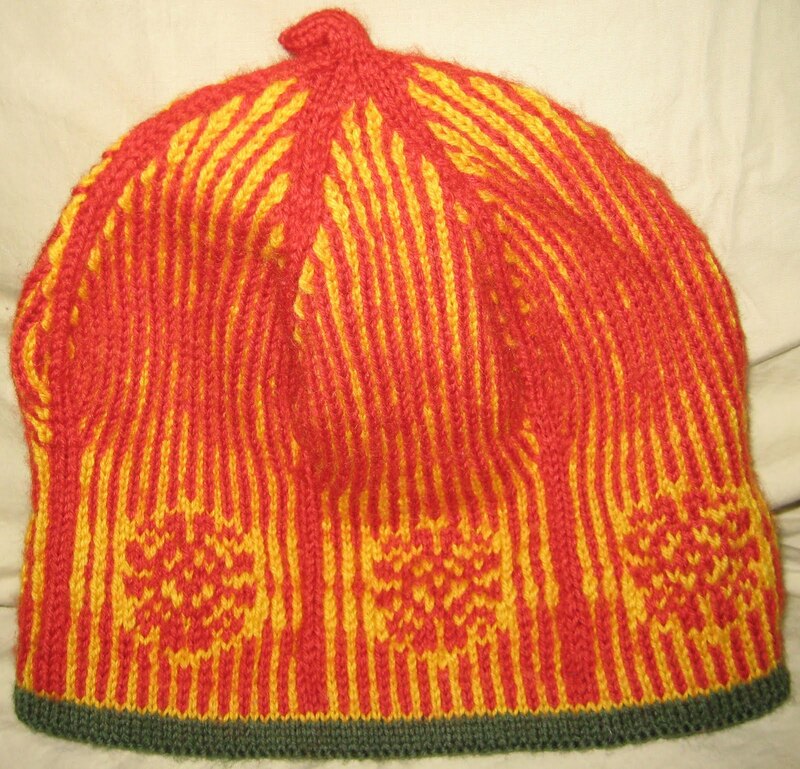 My first attempt at 2-color knitting was a Dale of Norway hat from the Lillehammer collection, 1994; I did start it, at least, during the Olympics, though I didn't manage to finish it before the closing ceremonies. Saint H is the only person I know with a face long enough to wear the hat; and he's still stopped by strangers on the street who "just lo-o-ve" that hat. I have a hard time getting it off of him long enough to wash it in the wintertime. Before that, I was content to stick to pretty pedestrian knitting, not very dramatic or complicated. 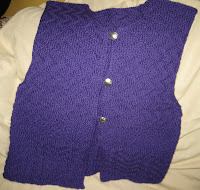 I took a workshop with Alice Starmore in 1993 and progressed to gansey-style knitting, and this vest, "Oceans of Knits and Purls", (Knitter's, Fall 1997) was one of the most satisfying results of those forays. It has sterling "buffalo nickel" buttons and is a gift for my lovely nurse Vicki - purple is her favorite color as well as mine, and I can't think of anyone else I'd rather give it to. It will have to wait for after the County Fair, though. I'm dealing with the usual joint pain, and the added fillip of shoulder pain is making life difficult. I'm more and more anxious for the meeting on Friday so I can find out what we'll be doing.